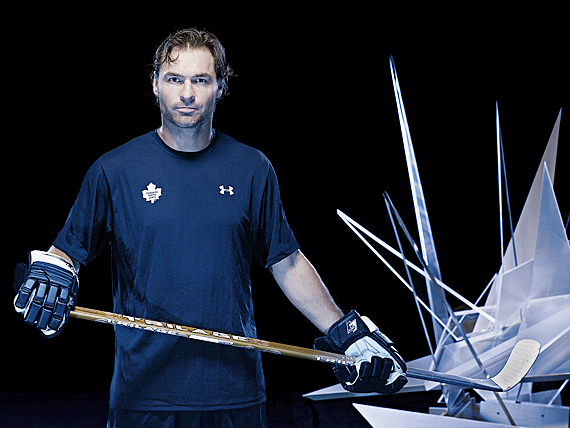 Retouching and colour treatments of player photographs for the Toronto Maple Leafs, photographed by Sandy Nicholson. The photos are used for all advertising and promotions, on programs, tickets, scoreboard, billboards, etc. Below is a photo from a previous year's shoot.